Given the belief that friends should be celebrated, we have created a referral program for you and your friends. 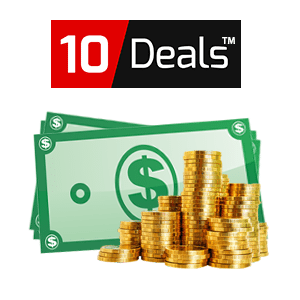 Now you can invite friends and enjoy free cash in your 10deals E-wallet. The more friends you refer, the more cash you receive! Add cash to your stash with our referral program! The Best Way To Invite Your 100 Friends To 10Deals is From Whatsapp, Facebook, Twitter or Other Social Media and Get Rs.1000 Free Wallet Balance.